The amenities within Shea Homes at Jubilee center around the 26,000 square foot Jubilee Lodge. This beautifully appointed amenity center features sought-after elements such as a state-of-the-art fitness center, an indoor swimming pool and spa, an activity center and a multipurpose ballroom. 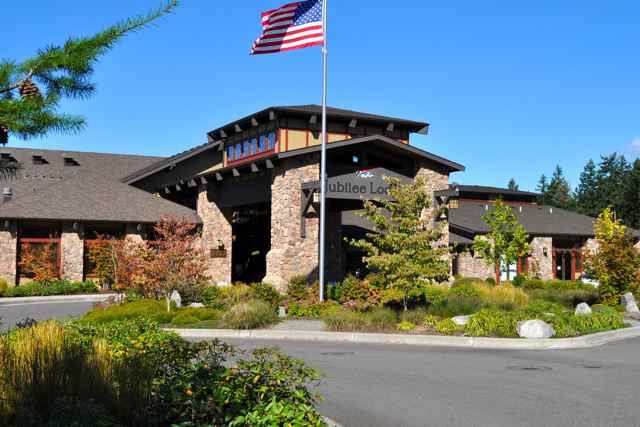 Created as an age-restricted enclave within the larger Hawks Prairie community, Shea Homes at Jubilee provides active adults with fabulous resort-style living in the City of Lacey, Washington. Spectacular views of Mt. Rainier and the Puget Sound greet residents, while easy access to local attractions and downtown Seattle makes Shea Homes at Jubilee an ideal retirement destination. This beautiful community was originally founded by Jenamar in 2004 under the name Jubilee at Hawks Prairie. In 2010, Shea Homes acquired the community, changed the name, and have continued its development. As a result, the community contains a diverse mix of homes built by both Jenamar and Shea Homes. When Shea Homes took over the community in 2010, they brought in their own line of single-family homes with 10-floor plans divided into the Villa, Cottage, Island and Estate Collections. Homes in the first three collections offer two bedrooms, two bathrooms, and two-car garages. Floor plans range from 1,285 to 1,928 square feet. Homes in the Estate Collection are a bit larger (2,180 to 2,445 square feet) and offer two bathrooms, two-and-a-half bathrooms, and a two-or-three-car garage. In addition to the new residences built by Shea Homes, homebuyers can also choose from the available resale homes which were built by Jenamar. 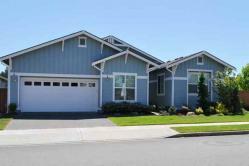 This includes several different floor plans ranging from 1,549 to 2,327 square feet. Each of the Jenamar homes was designed with two bedrooms, two bathrooms, and a two-car garage. Some models were also built with a third bedroom, flex room, or attached golf cart garage. Starting in 2010, Shea Homes introduced 10 new single-family floor plans in homes that range from 1,285 to 2,445 square feet. These new models are a big hit with active adults who seek the latest luxurious finishes in a single-level home. The amenities within Shea Homes at Jubilee center around the 26,000 square foot Jubilee Lodge. This beautifully appointed amenity center features sought-after elements such as a state-of-the-art fitness center, an indoor swimming pool and spa, an activity center, and a multipurpose ballroom. The Jubilee Lodge offers ample space for socializing, as well as a game room, an arts and crafts studio, and a library. Outdoors, Shea Homes at Jubilee residents will find many recreational amenities. Sports courts support several activities such as tennis, bocce ball, and basketball. The adjacent Golf Club at Hawks Prairie offers two public 18-hole courses, The Links and The Woodlands. Some of the homes within Shea Homes at Jubilee are being built to surround The Links, and all community residents can enjoy reduced fees at both courses. Shea Homes at Jubilee is located within close proximity of I-5, providing convenient access throughout the City of Lacey and the surrounding area. Olympia is only 10 minutes away, and community residents can reach Seattle in about an hour. Active adults who long to live amid the pristine beauty of Western Washington will do well to consider Shea Homes at Jubilee. This lovely community provides a wide range of amenities, easy access to major cities and beautiful homes, all set within Washington’s tranquil, scenic beauty.